Quincy couldn’t believe the words on his paternal twin sons’ birth certificates. According to the legal documents, the boys had two different fathers, Quincy just one of them. His wife, Madge, has betrayed him, although he’s not surprised by her affair. She cajoled him into marriage through drugs and sexual assault—an assault that created the twins. Now, Quincy is resolute in discovering the identity of the second father. Imagine his horror when he finds it to be Adam Collier, his own best friend. The betrayal is twofold as his wife and friend were once lovers. To make matters worse, Adam has asked Quincy’s sister, Olivia, to be his wife; how can Quincy break the news to Olivia without breaking her heart? With the terrible truth out on the table, Quincy is unwilling to let Madge anywhere near their children. He will raise them himself, but to do so, he must move beyond incredible past pain and become the father the boys need, even if only one of them is his biologically. 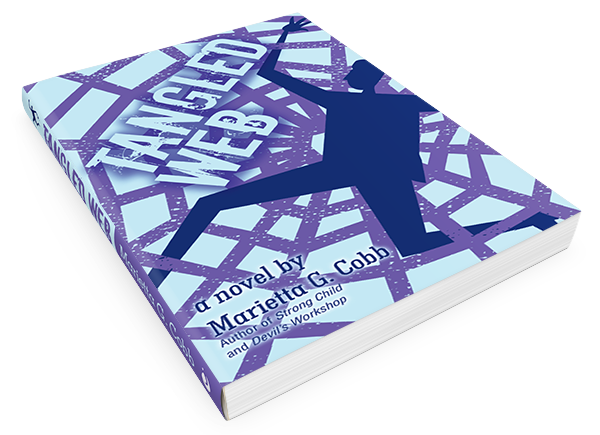 He will give them a good life, but first, Quincy must remember how to live again in Tangled Web by Marietta G. Cobb. Copyright © 2016. Marietta G. Cobb. iUniverse | All rights reserved.